Selling your home can be tough, especially in the current market. The element of increased competition due to the slow market conditions, means that anything you can do to make your home more sale worth matters. Of course, there are a number of things that you can do with the interior of your home that will allow you to improve your prospects and get a higher price for your house, and more importantly sell it faster. If your home has a basement then you want to ensure that it’s as warm and dry as it can be. Wet or musty basements are trouble and can cause the worst of impressions thanks to the smell and conditions at hand. However, most of the solutions are easy and can be fixed easily. It’s usually simple things like improper grade draining or roof downspout discharge that causes damp and these are easily fixed and then dried out with a dehumidifier. Slow or staggered draining sinks or tubs are going to cause issues and are very noticeable. They will also put potential buyers off and if not that those that arrive to do the housing inspection. They can be cleared quite easily usually, meaning full service can resume and you can sell your home that little bit faster. If the person looking at the house doesn’t take a look at the garbage disposal, the person doing the house report most certainly will. Make sure that it’s free flowing and working well to prevent any issues and if not get a professional to take a look or hire some tools from a company that offers the best at hire in your area. One of the biggest and most obvious issues that will turn people off a home is a poorly maintained circuit or electrical panel. If the panel looks badly maintained, there are tripped circuit breakers or popped fuses you are in trouble. Get an electrician in to sort out the issue and you may even need a new panel – so, prepare for the cost. This is not something you should tamper with alone, so get professional help. Drywall problems are clear to see and problems such as holes are cosmetic but will put people off buying. 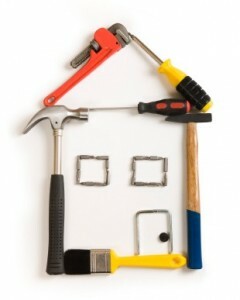 Small children may cause problems of this kind, however that’s no excuse and you will need to fix them before viewings. Old or dirty paint will take the sheen off your home and will take money off the price and add time to how long it takes to sell the residence. Painting is easy to do and can really add to your home’s price and the first impressions it makes – so give it a lick. Follow these tips and you’ll speed up the sale and also increase the price of the home. Top Changes and Projects That Can Help Your Home to Sell Staged and Sold: Sell Your Home Like a Pro Tips for Selling Your Home In Today’s Troubled Market When Is the Best Season to Sell Your House?